Missy Elliott invented the future. At least that’s what it felt like in the summer of 1997 when the mastermind dropped her debut album Supa Dupa Fly. 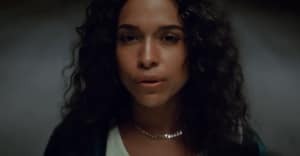 With the bracing production of her trusted partner in creation, Timbaland, the two birthed a sonic anthology of black experimentalism and soul. Missy’s boldness sprawls into every crevice of the LP as she reimagines every genre trope you could ever think of while maintaining her own sense of self. Timeless jams like “The Rain (Supa Dupa Fly)”,” and “Sock It 2 Me” have an enriching pulse that still echoes 20 years later. 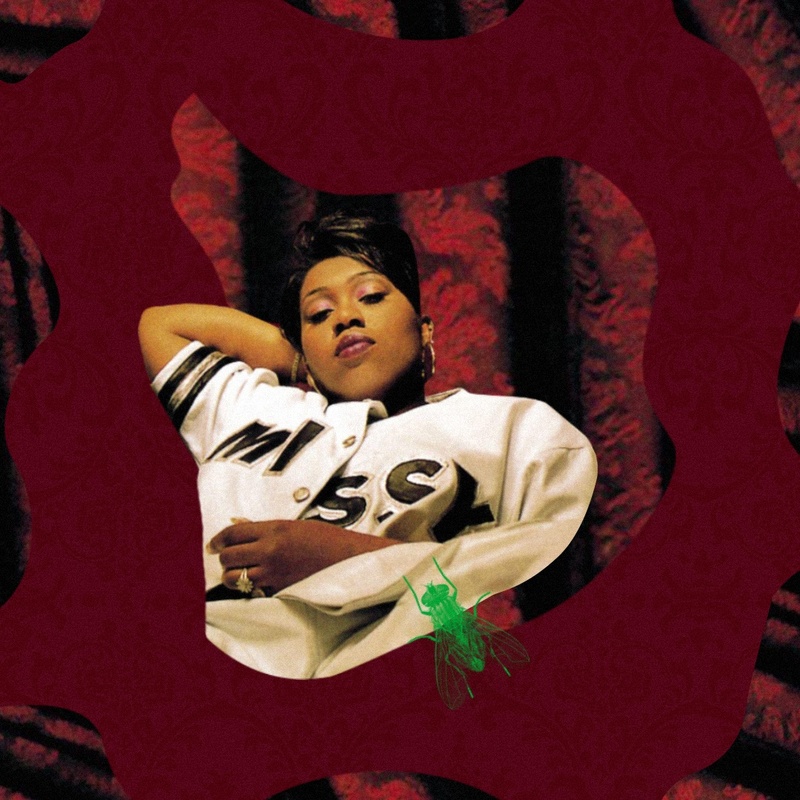 For the 20th anniversary of Supa Dupa Fly, The FADER spoke to some of her closest friends and collaborators about Missy’s legacy, how they felt when they first heard the album, and what its impact means to music and culture after two decades. MONICA: When I first heard, “The Rain (Supa Dupa Fly),” the first thing that I knew was that it was a smash record — unbelievable. When I think of it now more than 20 years later, you don’t forget how different she sounded. She’s the epitome of what an innovator means. She’s so creative and she was so fearless with her approach to things and she made sure that her visuals matched the sound and took them to the next level. When you think about a Missy record, you also think about what you saw. That scene in that black plastic bag suit nobody could ever forget. If you look back at the time when Supa Dupa Fly came out, all the legendary groups and they had their distinctive sound. We were all unapologetically ourselves and that’s what stands out about a lot of us and Missy brought that out even more. She made her mission to always dare to be different. So even when you knew when you heard a Missy song, none of us sounded alike singing them. It had a lot to do with the way she does production and creates songs. When you think about subject matter, with “So Gone” who knew she would make me rap on a R&B record? She knows exactly what she’s doing and I think it’s because she does everything based off of feeling. If something doesn’t feel right, she doesn’t do it. What’s so endearing about her is even though she’s iconic creator of music and videos is she’s so humble. Missy brought pure creativity back to the culture. Once people would hear the sound, see the visuals and the costumes and finger waves it was clear. One year we went to the Grammys and she had on a purple suit with razor blades all over it. She was fearlessly walking into whatever she did. For the culture, it pushed everybody to challenge themselves again. Pushed us to say, “We’re not doing basic, scripted visuals anymore.” She pushed us to not limit ourselves, to embrace how we look from head to toe. She pushed collaborations to the next level. When you look at a song like “Ladies Night” you just feel good. When you hear “Sock It To Me” and her, Brat, Eve, and Angie Martinez all on the same record you feel that togetherness that she spreads on her music. She’s unforgettable. TIMBALAND: Me and Missy never payed attention to what others were doing. We just did what was in our spirit and in our soul. We loved hip-hop and R&B — the music itself — but we weren’t looking to what was popular or what was going on. We just did our thing. Chemistry isn’t really developed — it’s usually there. With me and [Missy], it was there from day one. You can’t really develop chemistry. You can develop a way to do great music, but there’s great music and then there’s special music. What me and Missy do is special. It’s like when you meet your soulmate — Missy is my soulmate in music. We were just two kids from Virginia that loved music and couldn’t wait to have a real studio to really do it the right way. Missy always had a vision — she had a major vision. We both had visions but in different ways: She had a vision to entertain, and I had a vision to get my sound out into the world. We just wanted to make a record — not necessarily all these bells and whistles that come with the industry. We really wanted to put something out into the world and see how they responded to it. We new we had something special but we were just having fun in the moment. Coming from Virginia and trying to get your sound out there, you had to be great to be heard. You couldn’t be mediocre. What really stands out to me about recording Supa Dupa Fly now is how much fun we were having. It wasn’t about radio, it wasn’t about Is this a hit? It was just Ooh this feels good. This is jumpin’. We can’t wait to play this for our friends in the neighborhood. We didn’t know that it would be big across the world but we knew it was different and we knew that we had something that could be valuable to the world. The studio was like our playground. You work but sometimes it’s about looking at other things, watching videos, having conversations. A day in the studio was more like a day outside on the block. With “The Rain (Supa Dupa Fly),” I was just going through sounds and I found that and she said, “Keep playing that.” Missy liked to hear me as I created. She always wanted me to do the bounce in front of her because she’d start writing as she’s bouncing. Then she’d kick me out when she’d go record it. I’ve never seen her record on the mic. People wanna perfect their craft, and Missy has many personalities, so she likes to be by herself when she does that — just her and the engineer. Then I would go back and add this here or take something away there. I was like Alfred and she was like Batwoman. I was the guy supplying the sounds and she had all these friends and the superpowers to make it what it was. It didn’t really hit me until later on like, Wow, we somebody. I treated it as a clubhouse, like our team. I didn’t look at it like, Oh, snap. We in the real world. I didn’t really understand that it was a business. It welcomed me into the business. Coming from Virginia, we didn’t know a lot about that. It wasn’t city life, we didn’t have big buildings, we didn’t have certain things. I was kind of a lazy kid at that time, but I had a gift and wanted to learn more. We made music, that’s what we wanted to do. We didn’t realize how impactful the music was, but I think it’s best that we didn’t do what everyone else did because our sound still lives today. I think we’ll go down in history. Missy was ways like, “It’s gotta be special.” Her whole thing was about feeling and making people move. She always looked to make something that was special — not just a regular song. And I think all of that criticism that she put into her music paid off because she created a style that will probably never die. DA BRAT: It was so long ago that I can’t remember the first time I met Missy, but we instantly fell in love with each other because we were fans of each other and started talking all the time. I remember being so excited when she called me to do a cameo for “The Rain (Supa Dupa Fly)” video. I had never seen such an elaborate set. This woman was in an inflated trash bag-looking outfit with a full diamond crown thing on her head that reminded me of the flying monkeys in the The Wiz. When she sent “Sock It To Me” to listen to, I was so excited to finally work with her. I flew out to meet up with her in the studio and it took me hours to finish my verse because I wanted to it to be perfect. Missy wore me out for taking so long to write my verse and she was shocked because I was so nervous. I was so unsure that I kept changing it over and over again, but it was worth it. We had a ball collaborating and bouncing ideas off of each other — so much organic fun and we created a hit. Missy always pushed the envelope and dared to be different. None of her ideas were average or had been done or even seen before and she made sure of that. She took risks and wasn’t afraid. Everything about her sets her apart: her style, her flow, her writing was on a whole ‘nother level. She focused on pushing the envelope and taking chances. We had never heard anything close to her sound. And to me, we still haven’t. KWAKU ALSTON: The cover was shot for Elektra Records. It was actually my second job for Elektra Records, I had just graduated college and moved to New York City six or nine months before. The creative director who hired me was named Alli Truch. The first shoot she gave me was Adina Howard for "Freak Like Me." The company liked it, so they hired me to shoot Missy Elliott's album cover. I met with her and she was such a wonderful person. This was at the height of hip-hop, the beginning of ghetto fabulous hip-hop, Puffy and all that. It was all huge back then but Missy really took a chance on me. She could've hired anybody, she was a really big producer and songwriter already. I'm so proud and grateful for her doing that. I remember shooting down in the Meatpacking District. I found this cool bar — it's not there any more. She came a few hours late. That's how hip hop was at the time and I wasn't prepared. She had custom clothing. I remember her stylist June Ambrose and that was the first time I worked with her. She made these elaborate motorcycle jackets and I thought it was really cool. I tried to get a motorcycle for the shoot but it didn't happen. But I was so proud to do that job and that it was just such a monumental album, especially for female artists. I think I used a fisheye lens to shoot the cover which I would never do for an artist's portrait now, but that was the beauty of it. You could do anything as long as you were creative. I was right out of art school. I wasn't concerned about Missy I was concerned about making beautiful images. I was so obsessed about making those images and I guess I've matured in that way. CIARA: When the album came out I really thought it was, Supa Dupa Fly! [Laughs] It felt foreign and I immediately knew it was something special. It was different than what was on the radio, it cut through. I remember it being one of the most epic moments I had ever seen or heard from any entertainer. The album marked how special of a time it was for music creativity and ultimately helped define that era of music. I remember seeing the video for “The Rain (Supa Dupa Fly)” and it was this moment that kids in the classrooms were talking about. You know its cultural moment when people try to imitate it for Halloween. It was iconic, pure art. Missy alway had her own distinctive style. She reminded us that being unique was dope and carving out your individuality as an artist was important. The biggest thing I learned from being around her, is that you can't be afraid of being bold in your creativity. It's important to always reinvent yourself. She showed me the importance of trusting your creative gut as an artist. You will always be content expressing yourself as an artist if you are true to who you are. Supa Dupa Fly was the dawn of a new era of hip-hop and will forever be one of the most memorable of albums. Missy is one of one. You never saw anything like her and you never will!